WRA Wildlife Rescue Association Of BC hasn't added a story. Since 1979 the Wildlife Rescue Association of BC has been the lifeline to more than 100,000 injured and orphaned animals, giving those we cared for a second chance at a natural life. To this day Wildlife Rescue cares for 5,000 animals annually, far more than the 1,500 the hospital was designed for. The only reason we have the privilege of doing this work is because of you, and together we are going to face down one of our biggest challenges yet. Each spring and summer thousands of baby birds mammals are admitted and cared for at the hospital. And for the first time in our history the hospital is temporarily closed! Do note, we are still accepting patients and caring for injured wildlife with a strong network of partners, so keep coming by! This past winter has taken a huge toll on our thirty-year old facility. Due to overuse, water damage and wood rot the building is in dire need of repair. To top it off, this condition led to rodents escaping the snow by moving into our warm hospital ! It is critical that we address this now to ensure a healthy and safe space for both the wildlife and the people who care for them. Your helpful support turns a dangerous situation back into life-saving conditions! Helpline operations have expanded to address the many calls coming in and to work together with a variety of other organizations to provide the care and treatment needed. Volunteer teams transfer animals brought to our Centre to other partnering rehabilitation organizations. Burnaby SPCA has dedicated a room in their shelter for our staff to take in, exam and stabilize animals before transporting to a partnering rehabilitation centre. Critter Care Wildlife Society is accepting all mammals and their volunteers are working with our volunteers to transport out to Langley. We are providing Wildlife Rescue hospital staff to Elizabeth’s Wildlife Center in Abbotsford who is accepting songbirds and waterfowl from our program on a regular basis. Your donation provides much needed refurbishment of the hospital in time for baby season! These improvements to the building will improve our ability to provide ongoing medical care better than ever before. Together we continue to honour the legacy of those who started Wildlife Rescue Association all those years ago. Our partnership is a commitment the best achievable care for wild animals that fall victim to human activities and returning them to their natural environment. We are profoundly grateful for the support of these organizations with which we share passion, commitment and dedication for a high quality of care for wildlife. Please join us in this community effort! WRA Wildlife Rescue Association Of BC hasn't posted any updates yet. 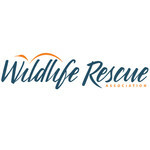 WRA Wildlife Rescue Association Of BC is managing the funds for this campaign.